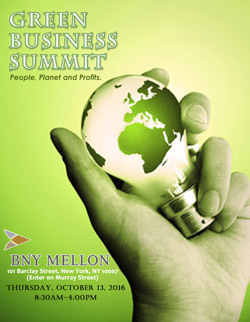 We envision the Green Business Summit to be the premier sustainability conference in the New York Metropolitan area. If you're looking to make business-to- business connections, this is the perfect opportunity to highlight the products and/or services your business offers. Build your brand, engage potential customers and improve relationships with current customers as an exhibitor in the Green Exhibit Hall. Exhibitors will have maximum exposure in the morning, during registration and breakfast, plus additional time between sessions and during lunch. All corporate exhibitors will be featured (logo) on the Chamber Coalition's website and will be provided with a table and two chairs plus enjoy two complimentary tickets at the Welcome VIP Breakfast and Networking Luncheon. Includes Standard Skirted 6' Table with 2 Chairs, and 1 ticket to VIP Welcome Breakfast and Networking Luncheon. Please contact Pearl Phillip at 718-722-9217 or via email at pphillip@mynacc.org if you are interested in becoming a sponsor or exhibitor. We offer a number of ways you can become a sponsor and/or exhibitor for our inaugural Green Business Summit. By participating in this event, you will reach a diverse and dynamic collection of entrepreneurs and individuals committed to sustainability. Complement your company's marketing program by increasing your visibility as a Green Business Summit Sponsor. Numerous opportunities are available at different levels, ranging from identification as a presenter, to sponsoring a breakout session or food event. 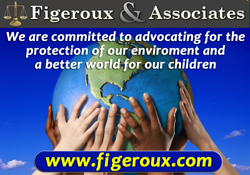 You will engage with a high level audience and gain recognition for your green initiatives and achievements. All sponsors will be featured on display boards around the conference throughout the day, as well as in the Summit's printed program booklet. All sponsorships come with an exhibitor table and a minimum of two complimentary tickets to the Welcome VIP Breakfast. Benefits include: social media exposure, printed articles, news releases, advertisements, logo on print materials and more!